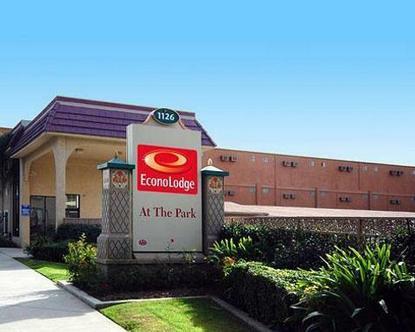 The Econo Lodge hotel is conveniently located across from Disneyland and Downtown Disney. We within walking distance of the Anaheim Convention Center. It is just a short drive to several famous Southern California beach*s, the Honda Center, Angel*s Stadium of Anaheim, and Knott*s Berry Farm. The hotel is adjacent to Denny*s restaurant open 24-hour and minutes from several major shopping malls. The hotels amenities include free continental breakfast, free coffee, free high Speed internet access in all our rooms and a outdoor pool with sundeck. In addition to standard amenities, selected rooms come equipped with microwaves and refrigerators. Free continental breakfast served daily.